Major renovation complete to allow year-round operation! Fly Creek, NY- The Fly Creek Cider Mill is busily preparing for its 160th season marked by a major renovation that will serve the facility for generations to come. This year’s opening is especially exciting as visitors will be touring a majorly renovated Mill including an additional second-level area expanding the viewing area of the historic, water-powered cider press. Construction commenced at the end of the last fall’s busy cider season and progressed smoothly through the winter updating this landmark with improved structural engineering. While the historic structure built in 1856 and the 1972 addition remain, all other additions were removed and rebuilt. The two main goals of the build were improved energy efficiency and visitor traffic flow. New high-efficiency heating and cooling systems, spray foam insulation, and LED lighting will reduce energy consumption with the addition of a soon-to-be-installed solar array. Visitors will enjoy more open space to view the historic equipment and shop the Mill’s wide array of specialty foods and gifts. The pack-your-own apple display room has been expanded providing more access to great-tasting New York State-grown apples. Opening day will feature McIntosh, Empire, Jonagold and Crispin varieties fresh from atmospheric controlled storage. While apples, cider, cheese and fudge are the Mill’s core products the Michaels continually increase their wide variety of specialty foods. Visitors can enjoy daily tastings of more than 40 specialty foods including barbeque sauces, salad dressings, syrups, salsas, dip mixes plus apple wines and hard ciders. Now in their 17th year of ownership, Brenda and Bill Michaels have developed the Mill into a food-lovers’ destination through diverse products and programming targeted to create a flavorful visitor experience. “We will open on Friday with all the tastes that visitors have come to expect from us and during the next few months further develop the second level by adding more educational and historical exhibits,” says Bill. The Mill’s first big Spring event will be the return of the CiderRun on April 23. This is the fourth year for the CiderRun’s 10K/5K race through picturesque Fly Creek Valley. The run benefits the Athelas Therapeutic Riding program. For registration and more race information visit www.ciderrun.com. 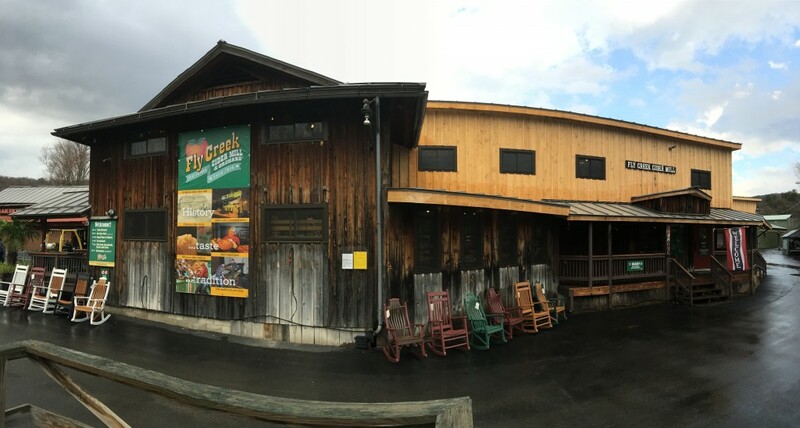 The Fly Creek Cider Mill is located 3 miles from Cooperstown and 24 miles south of Herkimer just off State Route 28 in Fly Creek. Open daily 9:00 a.m. – 6:00 p.m. starting April 1. For more information, programming and events or to request a copy of their brochure visit www.flycreekcidermill.com or call 607-547-9692.